sorted by manufacturer, some are new and some are used. 225 call 4 avail . 2-3953-7A ARRA 729051-1 special sma variable atten. 100C0647 daico industries sma programmable atten. 100d1606 C daico industries sma programmable atten. A802M Englemann Microwave 2-4 GHz variable atten.
. FXR (see Microlab/FXR) . 354A HP 10 DB STEP attenuator -image- 750 . 355C HP 1 DB STEP attenuator (old style) 179 . 355C-H59 HP 2 db step attenuator ... 250 . .
355D HP 0-120 (10dB STEP) atten. dc-1GHz 279 ..
3750A HP 0-99 dB atten. dc-100 MHz 75 Ω 250mw 125 . .
393A HP 500-1000 MHz var. attenuator coaxial 225 . 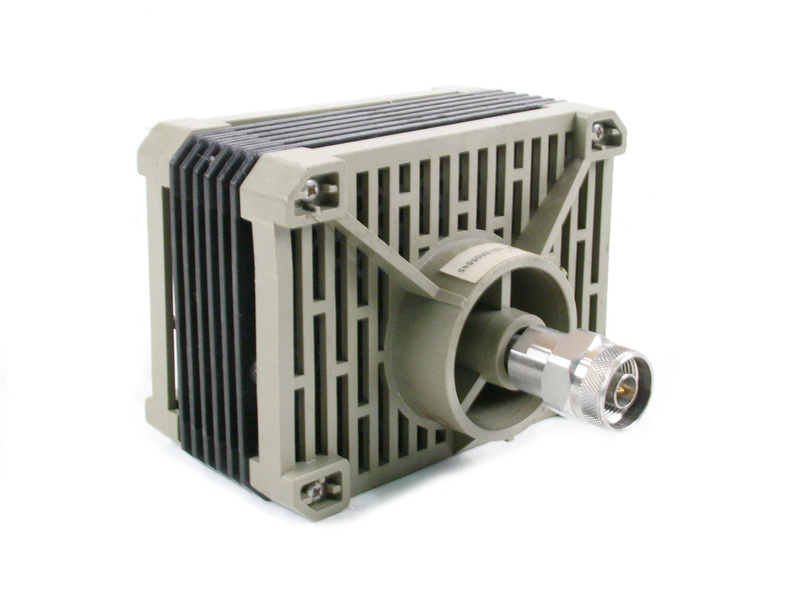 394A HP 1-2000 MHz variable attenuator coaxial 325 SOLD . 5113409-010-101 - digital attenuator assy. HP 8491B HP 6 dB attenuator 150 . HP 8491B HP 20 dB PAD 175 . HP 8494G opt 001 HP 11 dB prog. step atten. Type N DC-4 GHz. 448 . HP 8494G opt 002 UK6 HP 11 dB prog. step atten. sma DC-4 GHz. 446 . HP 8495B opt 001 HP 70 dB step att. dc-18GHz (N f) 600 (2). 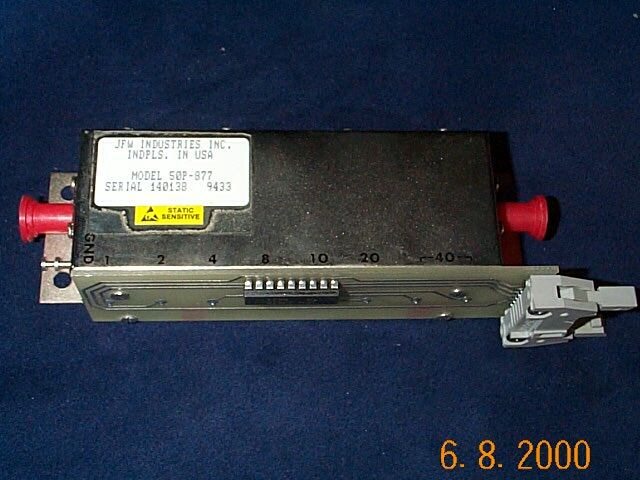 HP 87130A HP attenuator/switch driver SPECIAL 1994 . .
4450 Kay prog 50 ohm sma atten. 690-5-1S Mecca micrometer adjustable N(m)N(f) atten. AU-25A Merrimac sma variable atten. AU-25ASN Merrimac N type variable atten. AJ-410N FXR Microlab Inc. ten turn lockable dial var. atten. 2-12.4 GHz type N -- like new! AW-50N microlab/FXR 0-25 dB variable atten. 2082-4261-05 M/A Com & omni spectra 5 dB sma pad (NOS) 9 avail. 2082-4262-25 M/A Com & omni spectra 25 dB sma pad dc-18GHz (NOS) 40+ avail. 2017 Midwest Microwave 10 dB Type N atten. 263-3 dB Midwest Microwave attenuator dc-18 GHz SMA new SPECIAL! 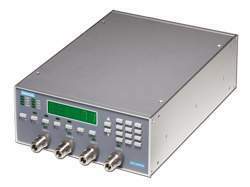 (minimum total order $100) qty. .
ATT-0290-05-SMA-02 Midwest microwave 5 dB minipad attenuator dc-18 GHz sma NIB! 25 (minimum total order $100) qty. NARDA ATTENUATORS click -here- NARDA PADS . .
5620 picosecond 4 X attenuator sma ECL terminator NEW! SA-O2060-2 Quantatron c 310553-2 variable atten. 250 2 available MINI att. 250 8 available step att. 50 call for avail. .
75 call for avail. .
MA-51 Texscan Corp. sma 10-60 (10dB/step) step attenuator. RA-53 Texscan Corp. (also see Trilithic) sma 0-1.0 (0.1dB/step) step attenuator. RA-53 Trilithic sma 0-1.0 (0.1dB/step) step attenuator. RA-54 Trilithic sma 0-10.0 (1.0 dB/step) and 0-40 (10 dB/step) 50 dB attenuator. RSA-3510-SMA-R Trilithic Asia (Bangkok) p/n 2010901004-R sma 0-10.0 dB (1.0 dB/step) step attenuator. like new! 1424-7 Weinschel Corporation tnc load 2ea. 3200-2 Weinschel Engineering prog. sma step attenuator .25, .5,1,2,4,8,16,32 dB 12volt -- NEW!